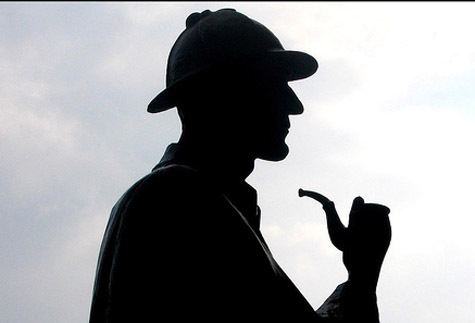 Imagine if there was a strange parallel universe out there somewhere in which you could actually be offered the opportunity to meet Holmes and ask him any ten questions of your choice. What would you ask? Here’s my personal selection . . . Were you in love with Irene Adler? If not, have you ever been in love? What is the nature of the cases stored at Cox and Co bank? Who were your parents and what became of them? Of which cases are you most proud? Do you think you would have made a good husband/father and do you regret not trying? How did you really feel about Watson? Which actor do you think has captured you the best on screen? Of course, ten questions would never be enough to unlock all the secrets, and he would probably refuse to answer anyway. But after all these years of countless writers trying to give the answers themselves, wouldn’t it be amazing to know the real truth? But then, what would we all have to write about? Please post your own questions using the comment form below. 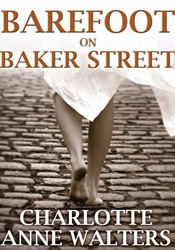 My novel Barefoot on Baker Street has now been published. Here are some of the ways you can purchase it. This entry was posted in Sherlock Holmes. Bookmark the permalink. 1 Were you in love with Irene Adler? 2 What are your real feelings about Watson? 3 Did you find the elixir for everlasting life with bee raising? 4 Did you find any reasoning to your question on why intelligent people turn to crime? 5 Has Scotland Yard gotten any better? 6 What were some of the lessons you learnt while in Asia? 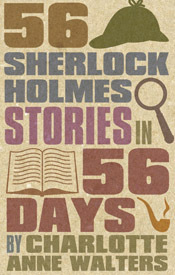 7 Do you have any relatives aside of Mycroft Holmes that you know of? in other words are there other people with Holmes name, especially younger ones? 8 What became of Mrs Hudson? 9 Have you regretted using the seven percent solution? 10 Last one..what do you think makes a human better – kindness or intelligence? These are really good questions, I especially like the one about Mrs Hudson and the time spent in Asia. I should have asked ‘What really happened during The Great Hiatus?’but just didn’t think of it at the time. Your last question is very interesting too and I would love to know his answer.